While there is no permanent way to shrink large pores, it is possible to make them appear smaller. Cosmetic procedures can help minimize pores, but there is no permanent way to make pores physically smaller. Some treatments and medications can temporarily reduce the size of pores. However, there are no known methods that create lasting results. Prescription retinoids help unclog pores, making them appear smaller. Other medications shrink oil glands and dry the skin. However, when a person stops taking these prescriptions, pores return to their regular size. Wash your face daily. Dirt and oil collected in pores make them appear larger. Apply ice cubes to problem areas for 15 to 30 seconds at a time to create a tightening effect. Wash your face with a light scrub to gently unclog pores. Improve your diet; some foods make acne worse. Excess dairy and grain consumption can harm your complexion. Try an at-home chemical peel. Alpha and Beta Hydroxy Acids (AHAs and BHAs) can be used every four to six weeks to slough dead skin that clogs pores. Non-ablative laser treatments are a great option to address large facial pores. Pixel Fractional Resurfacing can shrink pores while improving collagen production. Pixel treatments are Health Canada and FDA approved. With minimal discomfort and limited downtime, Pixel is a routine procedure that creates results within three to six sessions. 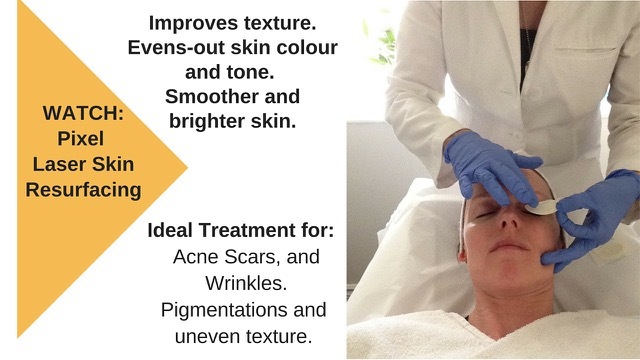 Bundling this procedure with additional skin conditioning procedures increases effectiveness. For more information regarding specific spa treatments, contact us at Clarity Medspa: (416) 960-2222.